This morning Business Secretary Greg Clark launched a new sector deal for the UK Aerospace sector following on from the Prime Minister’s announcement at the Farnborough International Airshow back in July. 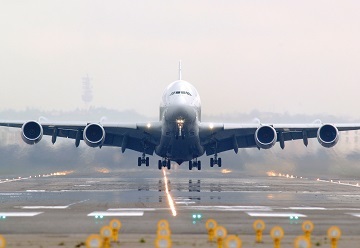 Since July, ADS has been working with its members, BEIS and the Aerospace Growth Partnership to finalise this ambitious strategy to help advance the UK aerospace sector further. The deal combines the forces of government and industry to boost the sector, export capabilities and will help place the UK at the forefront of the next generation of air travel. Up to £125m Government investment in a Future Flight Challenge to develop new technology such as electric aircraft and urban air vehicles. The creation of the UK Aerospace Research Consortium, which brings together universities and research institutes to better coordinate and collaborate on technology and capability challenges. National Aerospace Technology Exploitation Programme (NATEP), an established programme that will receive £13.7m funding from Government for further rounds, with £10m industry funding. SC21 Competitiveness & Growth, a supply chain productivity programme that will receive £10m funding from each of industry and Government. “A strong long-term partnership between Government and industry is essential for UK aerospace to meet the challenges of global competition and new market opportunities. Below are some of the announcements in the sector deal in a little more detail. Included in the sector deal is the renewed commitment to the Women in Aviation and Aerospace Charter which now has 75 signatories and supporting organisations. The Charter is part of a number of steps to work towards a more balanced and fair industry for women, and the sector deal outlines the responsibilities of the steering board to oversee the Charter. This new Challenge aims to put the UK aerospace sector at the forefront of the new generation of electric and autonomous aircraft. The Challenge itself will transform connectivity, boost UK exports, productivity and help enrich people’s lives through increased mobility. The sector deal also outlines the creation of a new UK Aerospace Research Consortium which will bring together universities and research institutes to better coordinate and collaborate on the technology and capability challenges fancy the UK aerospace sector. This new body will coordinate and support research in areas such as air vehicle design, aero structures and future of propulsion.